Press Release:- On Thursday November 8, 2018, The Minister for Education, Innovation, Gender Relations and Sustainable Development, the Honourable Dr. Gale T.C Rigobert, delivered a statement at the High-Level Segment of the 30th Meeting of the Parties to the Montreal Protocol on Substances that Deplete the Ozone Layer (MOP), held in Quito, Ecuador. The Montreal Protocol is a global agreement amongst all 197 countries of the world (196 states and the EU) which seeks to protect the ozone layer by phasing out the production and consumption of numerous substances that are responsible for ozone depletion. These ozone depleting substances or ODS as we call them, are most commonly used as refrigerants in air-conditioners and refrigerators. Some such as halons are used as firefighting foams and others such as methy bromide are used as fumigants against pests in certain crops. The parties to the MOP meet annually to consider reports from its scientific and technical advisory bodies, decide on critical and use exemptions requested by parties, and debate and decide on any other legal or technical issue affecting the implementation of the Protocol and its amendments and adjustments. In her statement, the Honorable Minister highlighted the remarkable successes achieved under the Montreal Protocol over the past three decades. Through successful and focused implementation of the Montreal Protocol, over 98% of ODSs have been phased out globally, and as a result, the ozone layer is on the path to recovery. Saint Lucia, although a small nation, has contributed to these efforts by phasing out a major group of ODSs, the chlorofluorocarbons (CFCs), in 2008 and is currently towards the phase-out of hydro-chloro-fluoro-carbons (HCFCs) by 2030. She also highlighted the challenges which lie ahead in finding suitable replacements for the ODSs which are being phased. The current alternatives to ODSs in our markets, including hydro-fluoro-carbons (HFCs), she said, are not sustainable, as they pose a threat to our climate. Ms. K. Jn. 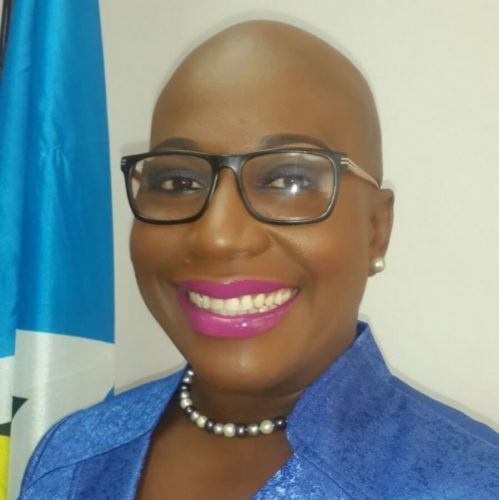 Baptiste who is the Ozone Officer for Saint Lucia, provided expert technical support to Minister Rigobert and formed part of the Saint Lucian delegation.